The Cadillac Escalade sets an opulent high-water mark for GM sport-utility vehicles. It's a full-size wagon with four-wheel drive, seats for up to eight passengers, and a tow rating of up to 8,000 pounds. With the Escalade, Cadillac has an even more refined SUV now than it had in past generations. The latest Escalade offers three rows of seats in a choice of two body lengths. 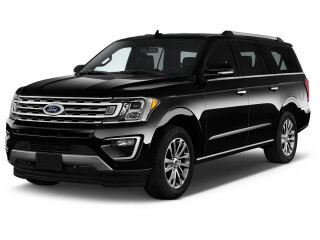 It is available in either standard or long-wheelbase editions—just like its mechanical cousins, the GMC Yukon and Yukon XL and the Chevrolet Tahoe and Suburban. Aside from the addition of a trick rearview mirror that's actually a monitor linked to a high-resolution backup camera, the Escalade stood pat for 2017. The 2018 Escalade adopted a 10-speed automatic transmission, which helped fuel economy slightly and made the 6.2-liter V-8 feel stronger. For 2019, the Escalade lineup gained a style-oriented Sport Package—an oxymoron if we ever heard one. The current Escalade rivals vehicles such as the Lincoln Navigator, Mercedes-Benz GLS-Class, and Infiniti QX80—even some Range Rover models. The latest Escalade is a heavily revamped and restyled continuation of the previous version. 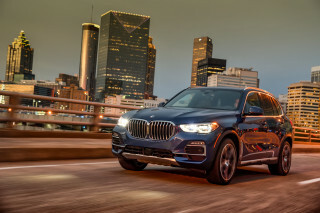 New in 2015 and largely carried over for 2017, it's a crisp, handsomely styled SUV that makes no bones about its size, going so far as to highlight it with full LED lighting. The cabin is filled with leather and suede and open-pore wood, if you like, with the front row dominated by Cadillac's CUE touchscreen interface. 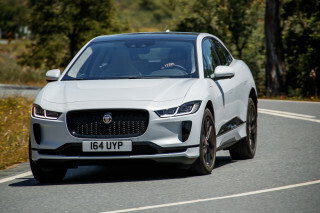 Power comes from a 420-horsepower, 6.2-liter V-8 engine that produces 460 pound-feet of torque, paired with a 6-speed automatic transmission for some 2015 models, and upgraded to an 8-speed on vehicles built later in the model year and continued through 2017. As in the previous generation, the Escalade comes in rear- and four-wheel-drive versions. Cadillac's sophisticated Magnetic Ride Control suspension is standard, and a new four-wheel-drive system has a two-speed transfer case. The Escalade can tow as much as 8,300 pounds, depending on configuration. Two lengths are offered, with the standard Escalade and the Suburban-sized Escalade ESV. Although the newest Escalade has a bit less interior room than the previous model, overall comfort has been improved. The rearmost row of seats can be folded independently with power assist. 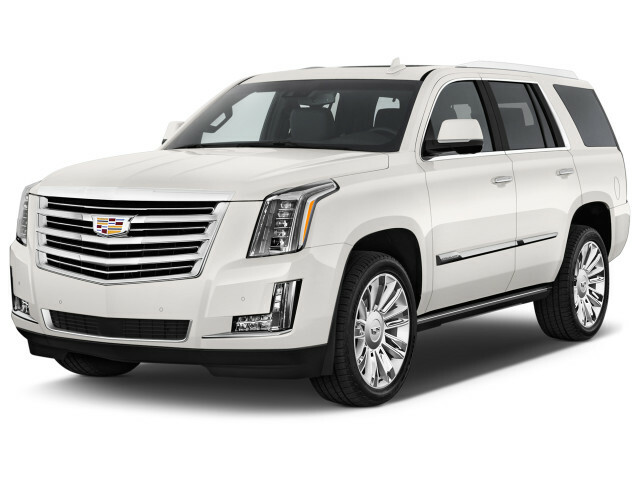 There's lots of space available in the standard-length Escalade, and even more in the extra-long ESV version, which is the same size as a Chevy Suburban. Prices start in the low-$70,000 range and can escalate quickly past $100,000. Some of the price increase comes from added safety gear, including forward-collision warning, blind-spot monitors, and adaptive cruise control. 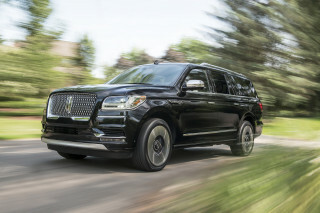 Other options include a rear entertainment system that plays Blu-ray movies on a single 9.0-inch screen that descends from the roof on the standard Escalade, or on two separate 9.0-inch screens on the longer ESV model. As a running update, the Escalade received a new, cleaner grille design with Cadillac's new wreathless crest adorning it, midway through the 2015 model year. The brand's new logo sits higher up on the chrome blades than did the more circular logo before it, giving the Escalade an even more modern look. It also received the aforementioned 8-speed automatic, as well as the OnStar 4G LTE in-car wi-fi with an included 3 GB/three-month trial. The LTE connection also speeds up the connection to OnStar services. For 2016, the Escalade added Apple CarPlay to its CUE infotainment system, while the 2017 brings with it a rearview mirror that's actually a high-resolution display for a camera integrated into the rear hatch. Fuel economy has stayed largely the same for the current generation. 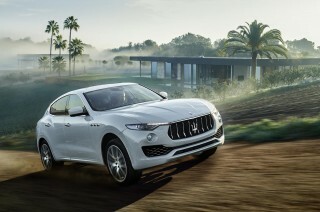 The current model, equipped with an 8-speed automatic, manages 15 mpg city, 21 highway, 17 combined, according to the EPA. The ratings for the 6-speed automatic sold on some 2015 models was roughly the same. The Escalade showed up late and lost the first round of the American luxury SUV battle to the Lincoln Navigator—Cadillac's entry bowed in 1999, while the Lincoln arrived the prior year. The Escalade felt half-baked, too—it was a scant cosmetic makeover of the then-new GMC Yukon Denali, with a re-molded front end that didn't look like the product of either brand. A 255-hp V-8 teamed up with a 4-speed automatic and standard four-wheel drive. GM sold this Escalade only for the 1999 and 2000 model years. Leather trim, an upmarket stereo, and badges were about all that separated this version from its Chevy and GMC cousins. The Escalade took a pass on the 2001 model year entirely, with Cadillac instead focusing on a 2002 makeover for its largest model. The plan worked, as it emerged with three body styles, a far better-knit kit of Cadillac styling cues, and a swank interior with a new third-row seat. Rear-wheel-drive versions came in 2002 as well, joining the logical but curious Escalade EXT—an odd hybrid of four-door SUV and pickup, with a midgate separating the two for cargo flexibility. The 2003 model year brought the longer ESV edition, giving the Escalade a size competitor for GM's own Suburban XL 'utes. A Platinum trim package emerged in 2004. A 285-hp, 5.3-liter V-8 came in most versions for the first two years; a new engine with 10 more hp arrived in 2004. For the entire run of this generation, a 345-hp, 6.0-liter V-8 came as an option on some versions. This generation shared mechanicals with the entire GM truck and full-size SUV lineup, but also the new Hummer H2 'utes. A new Escalade hit the road in the 2007 model year, with ESV and EXT editions coming with the standard-length Escalade. GM pressed the introduction of the trucks ahead of schedule—but sales still fell, and fell hard once the country slipped into a deep recession in 2008. Nonetheless, this has been the most satisfying Escalade yet. Very crisp, angular styling looks quite handsome on all versions, and lots of chrome make the Escalade a styling standout—whether you agree with its take on luxury or not. Amazing power emanates from the 6.2-liter V-8, and a special all-wheel-drive system and an 8-speed automatic are notable improvements. Magnetic Ride Controls quells the worst road impacts, while the optional 22-inch wheels can add road noise to the otherwise calm cabin. The seating is quite comfortable, but the third row isn't so easy to reach, and the seats don't quite fold flat—but Escalade ESVs hardly have to worry with their tremendous interior space, with or without the third-row bench folded. A new Escalade Hybrid SUV was added to the lineup for 2009. With a price of nearly $75,000, it was extremely slow-selling, but the hybrid technology and its advanced two-mode transmission improve fuel economy from miserable mid-teens to the respectable low-20-mpg range. All versions of the Escalade can be fueled with E85 ethanol blend. Otherwise, the Escalade changed very little over the last several model years of this generation. The "new and improved" 8 speed transmission is awful! this is my second Escalade and the quality and luxury of the vehicle is much improved. Last Escalade was very reliable and never required repairs, if this one is as good it will be a fantastic addition to my 4-car garage.